It was never that much easier to manage your photos and device’s disk space, as it is now. With the new release of Flic by Lifehack Labs, it has now become much more easier to delete unused photos and manage camera roll. 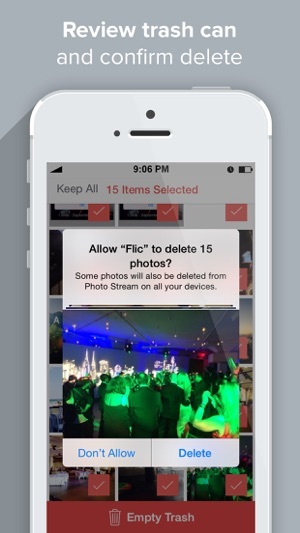 Simplifying the concept, Flic will easily let you delete your photos in order to increase your disk space and enhance your device’s performance. Memory Storage: You can create more memory storage for other apps or functions by deleting the unnecessary photos from your photo directory. By-Month Navigation: You can access your photos by-month navigation process. 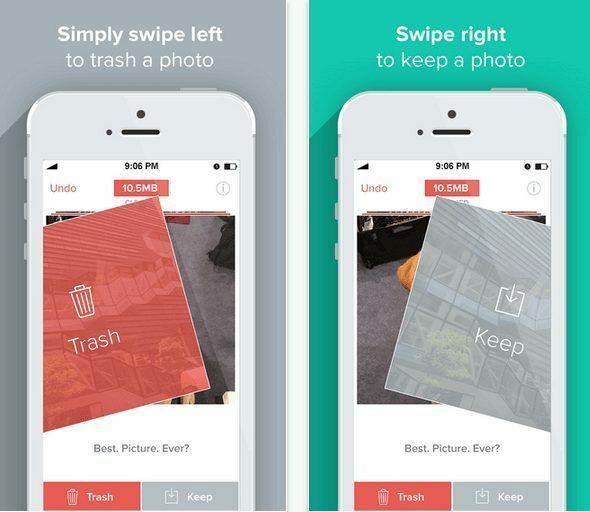 Trash A Photo: You can swipe left in order to trash unnecessary photos. 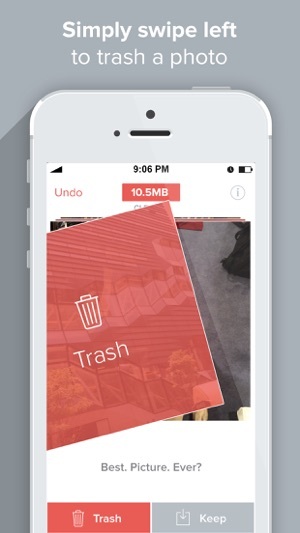 Delete A Photo: You can swipe left in order to delete unnecessary photos. Camera Roll Check: You can check your camera roll settings and memory bar after deleting unnecessary photos straight from Flic. Reminders: You can even set reminders that would let you know to free some memory from your directory by deleting unnecessary photos from your camera roll each month. Currently, 1.63 version of Flic has been released and can be downloaded from iTunes Store. The version 1.63 has some latest bugs fixed including undo button issue. Stability of the app has also been improved to a next level. This is a paid top trending app with a price tag of £2.29. The app has been categorized in photo & Video field and has been updated in 17th January 2015. 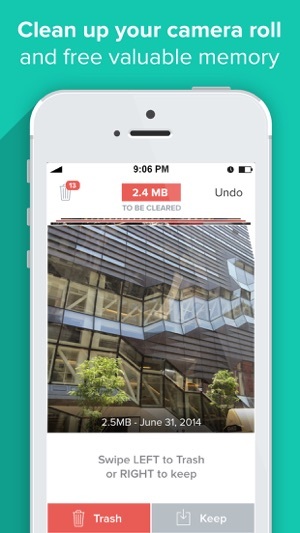 The total size of the app is 5.0 MB with the latest version. The Developer of this app is Lifehack Labs, LLC. It is compatible with iOS 8.0 or higher. Moreover, users can use this app on iPhone, iPad and iPod.